Formal hairstyles and makeup for special events are our focus and our passion. Whether you’re preparing for your wedding, hens, gal event the most important thing to do after you’ve chosen your dress is to decide what you’re going to do with your hair and makeup, Illusions has over 30 years of experience working with some of the industry’s finest events to lavish upon you on your day or big night. After all, special events don’t come around very often, and it’s important to us that when they do, your hair and makeup looks as stunning as the rest of you. One person we charge $125 for Hair and $125 for Makeup. Two or more people booking $110 for Hair and $110 for Makeup per service. Junior Bridesmaids, makeup and hair prices will be discussed as these vary according to length of hair and age. By using strip or flutter /cluster lash we create a custom look to the shape of your eyes and compliment your makeup design. Bridal Design Styling Sessions Our artists will spend all the necessary time needed to bring your vision to life, we can also offer you assistance in choosing hair styling and makeup looks due to our extensive experience. We begin by chatting with you about your hair styling and makeup ideas around your dress, jewellery, flowers, photography, the look you would like to achieve for your maids and theme of your wedding. This consultation will also give insight into time requirements for pre wedding day preparations. Design Consultation and Styling Session for one person we charge $125.00 per service. Please Note *Outer of metro areas may incur a small travel fee * If your service is to be carried out at a hotel, the parking fee for each stylist will be charged to you on the wedding day. * Surcharge may apply for public holidays. * Bookings prior to 7am may incur a fee. * Deposits are non refundable. Working with high profile clients, celebrities, models and Perth Brides for 30 years. Our Artists work in teams and are able to accommodate any size party with excellence. 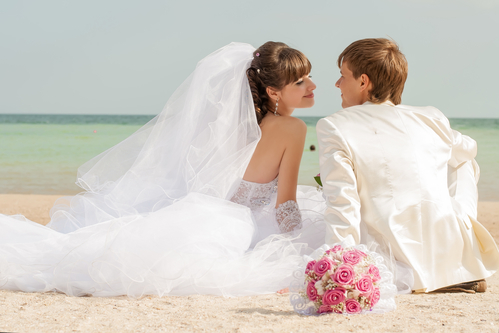 Working in teams ensures that no time is taken away from our brides. Top photographers, Bridal Houses and Clients recommend us daily. We offer Bridal Party Touch Ups and Style Change for Brides with a dress change. Masterful and Simply Stylistic: What Makes A Beautiful Hairstyle? Hair that never looks flat or frizzy. Artist that can create flowing curls and the Red Carpet signature up-do. A gorgeous design that is not rushed and supports the climate for a lasting look. The ability to use fillers and hair extensions to create your desired look. Selecting the perfect products and hair design for your specific hair type. What Makes A Flawless Makeup Application?